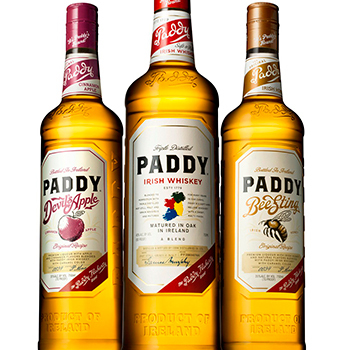 Pernod Ricard’s Irish Distillers unit has completed the sale of its Paddy Irish Whiskey brand to US group Sazerac for an undisclosed sum. The confirmation follows Irish Distillers’ announcement earlier this month that it had entered exclusive talks with Sazerac to offload Paddy – the world’s fourth largest Irish whiskey brand. Today, Irish Distillers released a statement stating the transaction has now been completed. Under the deal, Irish Distillers will continue to produce Paddy Irish Whiskey at its Midleton Distillery with “no impact on roles at Irish Distillers” and all employees maintaining their posts under “current terms and conditions”. The sale of the brand could assist “targeted investment” in other Irish Distillers’ whiskey brands, including Jameson and Powers, and would allow parent company Pernod Ricard to “simplify its portfolio”. At the time the negotiation was first announced, Mark Brown, CEO of Sazerac, said: “In the global market, Irish whiskey experienced the fastest volume growth in the last five years, outpacing all other spirits categories. Consumers worldwide are seeing it as an alternative to other whiskies. Earlier this year, Buffalo Trace owner Sazerac acquired the Southern Comfort and Tuaca liqueur brands from Brown-Forman for US$544 million.